I Object to this not coming out sooner! 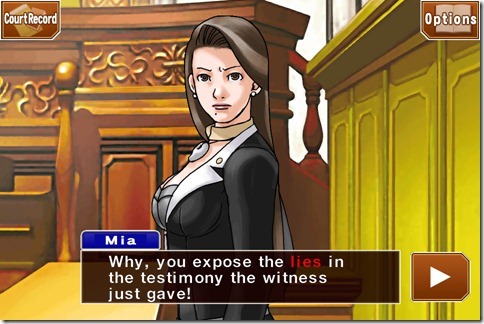 This fall the iOS Capcom will be releasing the Ace Attorney Trilogy in North America for the family of iOS device featuring: Phoenix Wright: Ace Attorney, Phoenix Wright: Justice for All, and Phoenix Wright: Trials and Tribulations. All three games will be getting a graphical upgrade and change in game play compared to the DS version games. While prices haven’t been announced yet Capcom plans on allowing customers to try a chapter or two free, and then allow them the option to buy the rest of the chapters as a set or as a bundle giving you the option but I don’t imagine it being too expensive seeing as Ghost Trick only cost $9.99 for the and be cheaper than hunting down each individual DS copy. 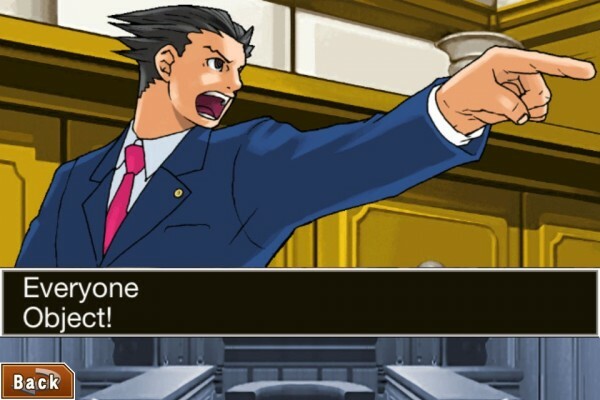 A new added feature will be the “Everybody Object” mode that lets you send out the quirky courtroom exclamations along with an animated image to your friends via Twitter or e-mail. No official date yet aside from Fall 2012.